Pour the yeast in a big glas and add some warm water. Additionally you can add a teaspoon sugar to make it grow better. Place it somewhere warm. 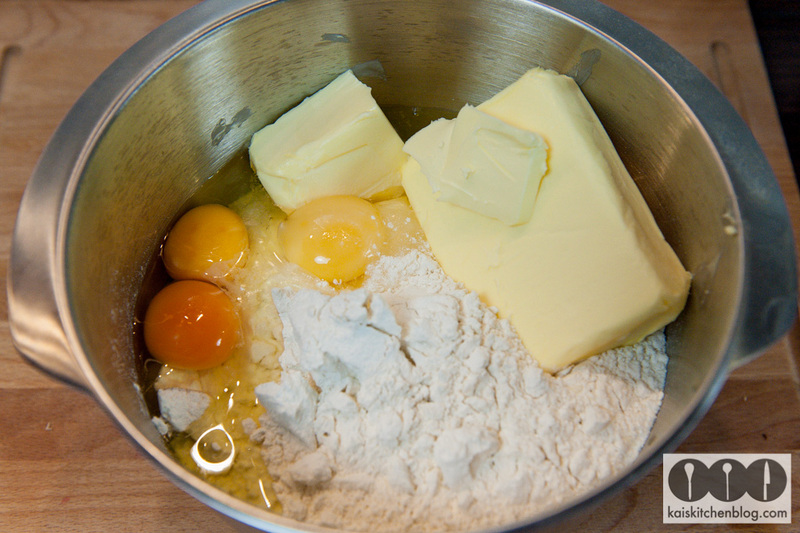 Put the flour, the eggs, the butter and the creme fraiche in a big mixing bowl (please notice the pictures below… this is what happens if the bowl is too small ;-). The butter should be very soft. If not just melt it prior to adding. 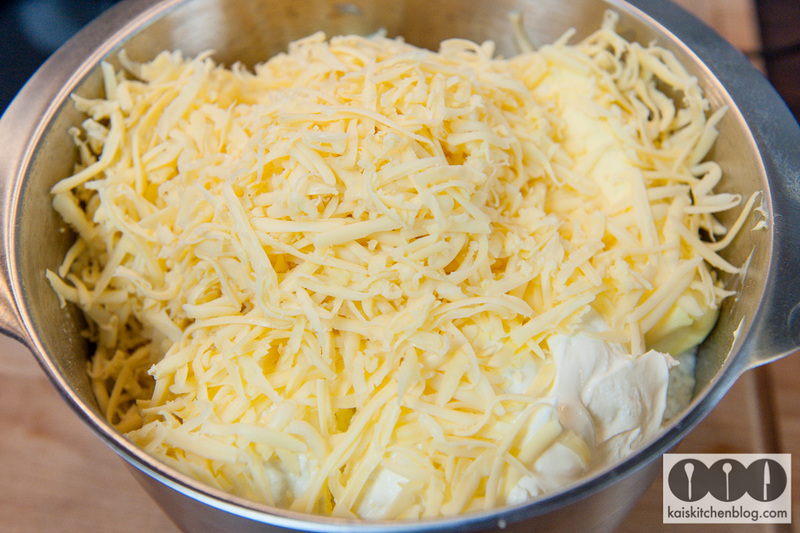 Grate the whole cheese and put the half of it aside. 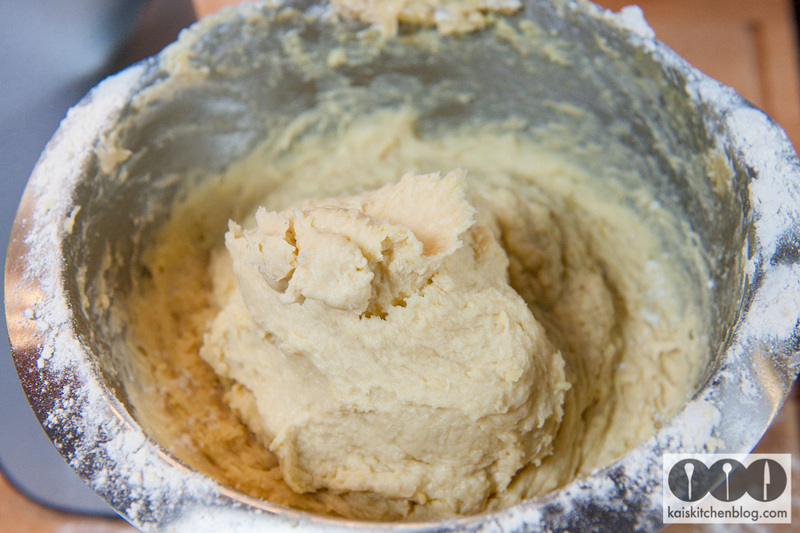 The other half must be added to the dough. 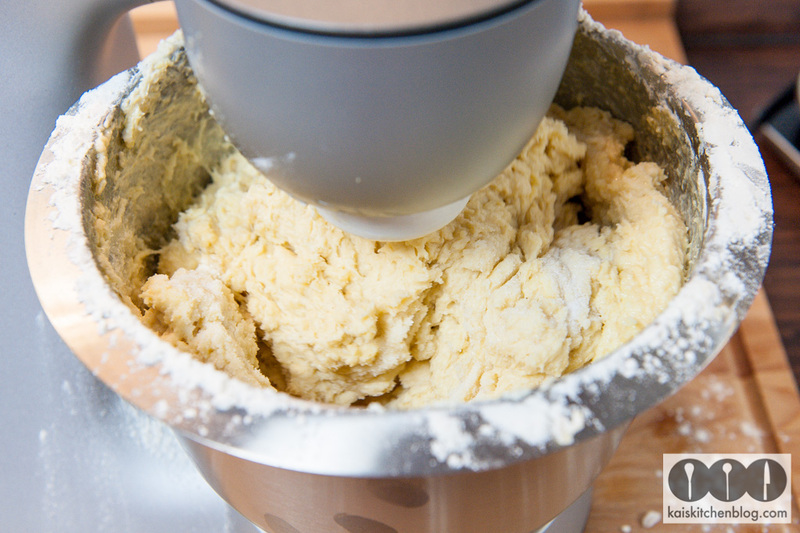 Mix the dough thoroughly, if possible with a kitchen machine. 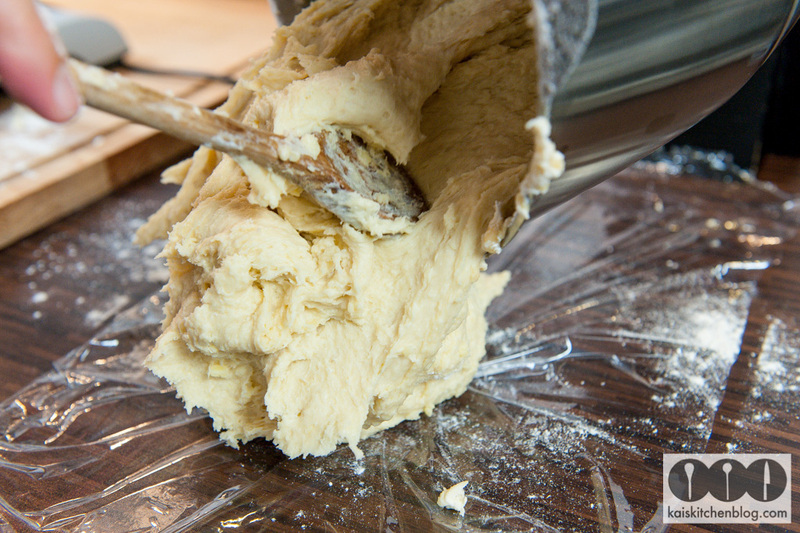 Split the dough in two parts and wrap them up in cling film. Store over night in the fridge. Take out the next day and roll out on floured worktop. It should be around 8-10mm thick. 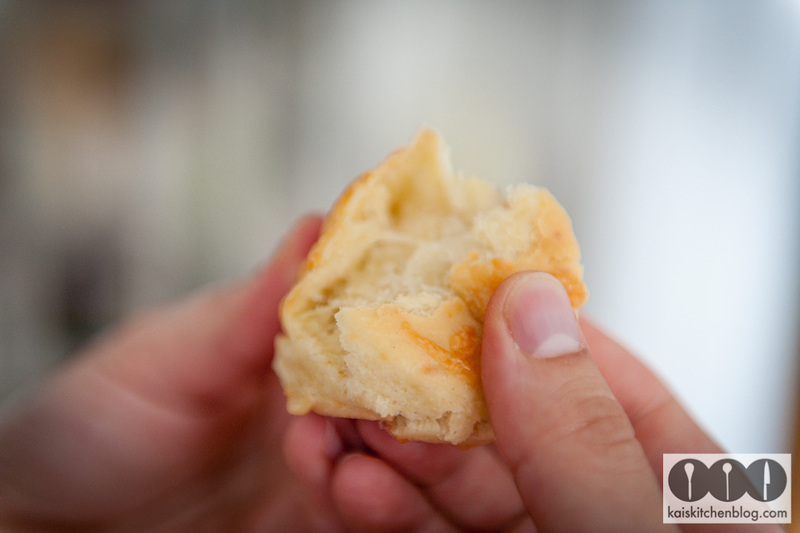 To punch out the pastries I always use a champagne glass – it just has the perfect size. 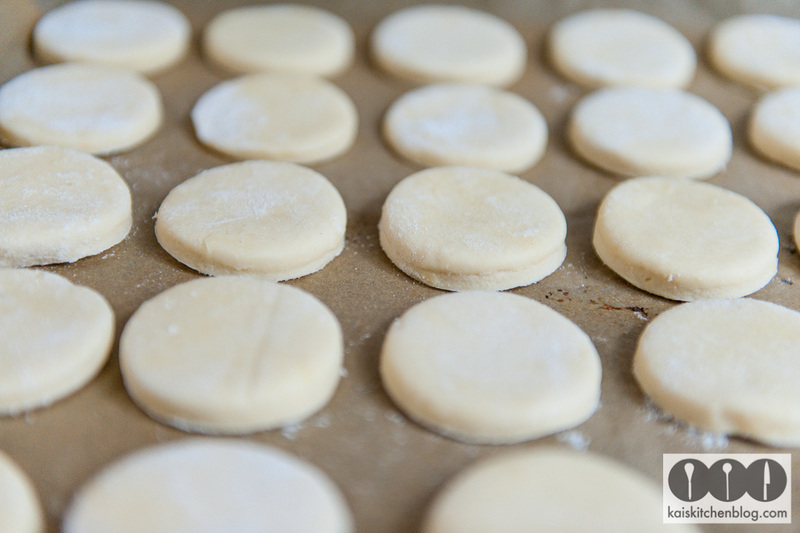 Place the punched out pieces on a baking tray (you should put some baking paper). Please allow some space between the individual pieces. 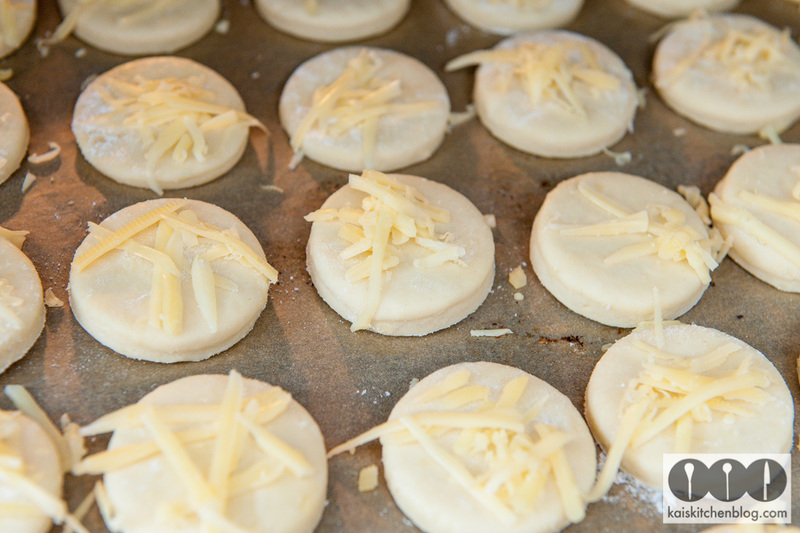 Spread the rest of the grated cheese on the doughlings. 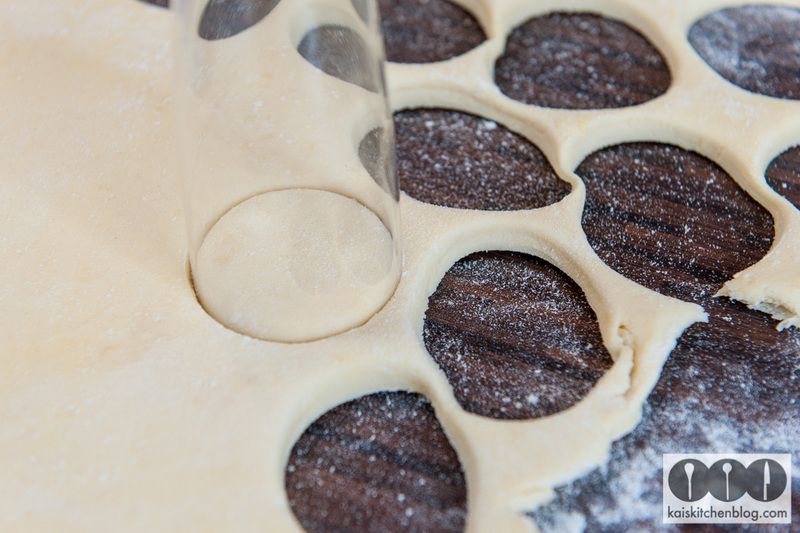 You can roughly calculate to get three baking trays with the above measures. 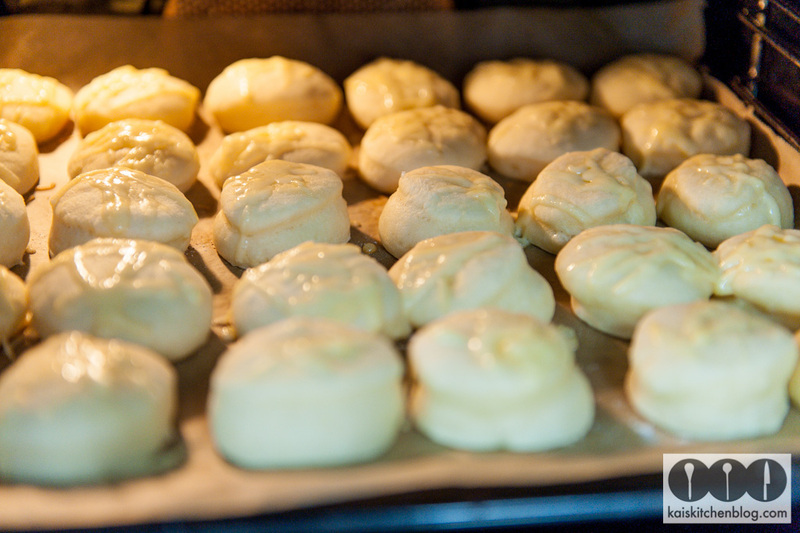 Put them in a pre heated oven at 180 degrees and bake them for 25-30 minutes. The cheese on top should be slightly melted and the Pogàcsa a little brown. Be careful to not bake them too long as they tend to get dry then. Try one in between. 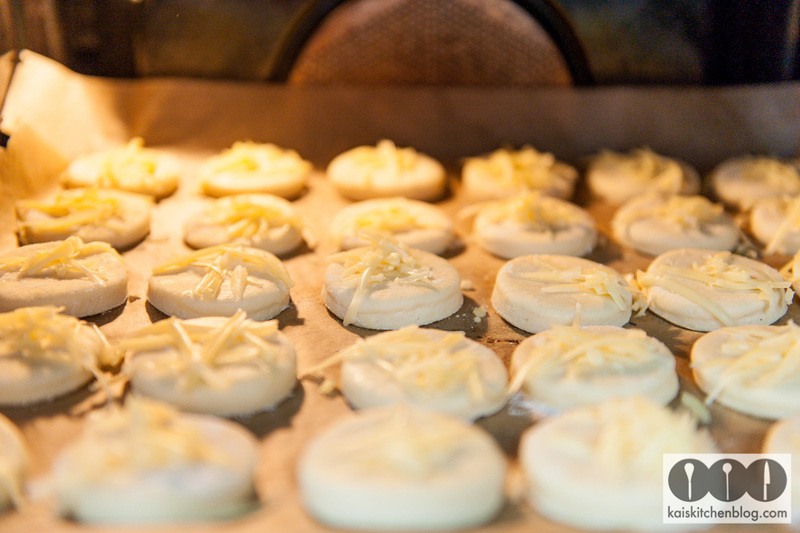 They taste best, if they come fresh from the oven. At best you calculate the amount so they get eaten the same day, latest next day. After that they usually will dry out. Voilà! 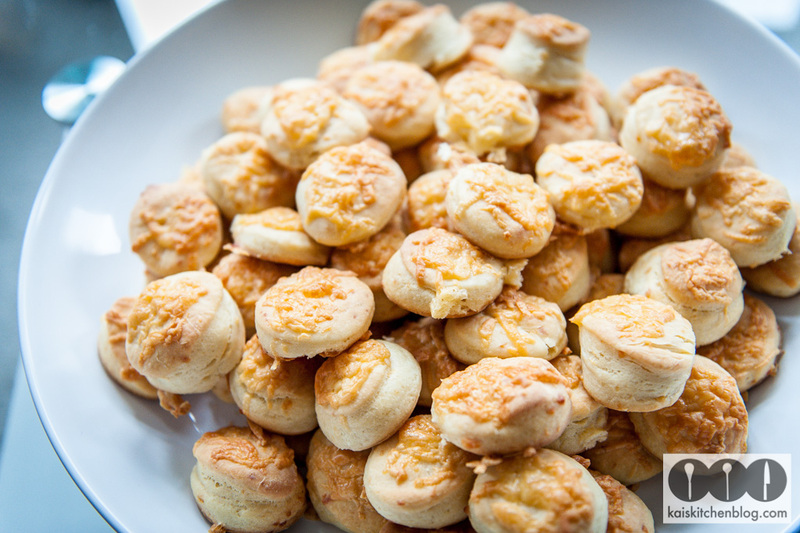 Bon appétit and lots of fun when trying out this recipe! 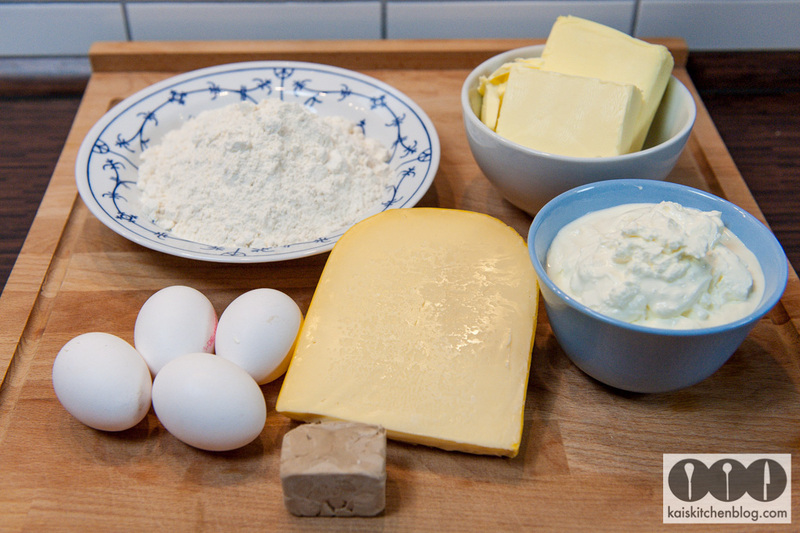 Dieser Beitrag wurde unter Backing, English, Finger Food, Hungarian, Kai Style, Quickly done, Side dish, Ungarische Küche, Vegetarian abgelegt und mit Backen, Basics, Finger Food, Kai Style, Kalte Küche, mehl, Rezept, schnell gemacht, vegetarisch verschlagwortet. Setze ein Lesezeichen auf den Permalink.